Their name may sound to some like a Star Wars tribute band but for the time being Belfast-based quintet Wookalily are content to tour England and Wales, rather than 'a galaxy far, far away'. The folk/ bluegrass outfit are embarking on their first English/ Welsh tour, visiting Birmingham's Kitchen Garden Cafe on August 1, 2018. The run of shows begins on July 28 at North Yorkshire's Hunmanby Community Centre and concludes at The Merton Apprentice in London on August 5. In 2016, Wookalily appeared on BBC4's Best Part-time Band documentary, impressing guest presenter and Ultravox frontman Midge Ure, who said: "Ireland has a wonderful musical heritage thanks to the passing on of skills from generation to generation, father to son and mother to daughter. Add a series of outside influences some great songwriting and you have Wookalily. 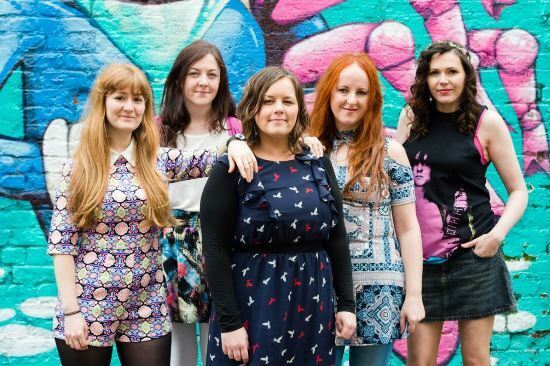 The all-female band, four Irish and one Welsh, make a glorious noise guaranteed to put a smile on your face and a skip in your step." 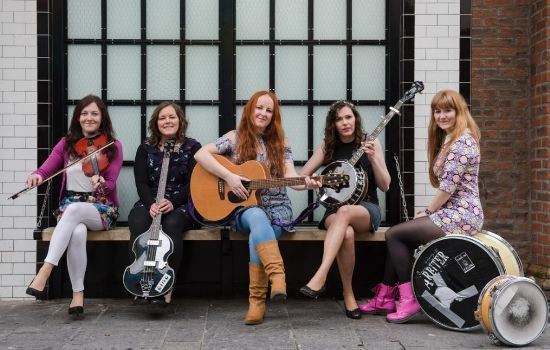 The group consists of Adele Ingram (guitar, banjo, mandolin and vocals), Sharon Morgan (guitar, banjo and bass), Lou Potter (drums), Clair McGreevy (guitar, fiddle and flute) and Lyndsay Crothers (vocals, guitar and bass). They released their debut EP, Black Magic Doll, in 2011 and their song Diamonds And Gold (below) gained them a showcase at the prestigious 2012 IBMA WOB Festival in Nashville. They recorded for Country Music Hall-Of-Famer Dixie Hall's Pickin' Like A Girl compilation in 2013 – the only non-American band to do so. The forthcoming tour will feature tracks from 2014 debut album, All the Waiting While. Also promised is a taste of the soon to be released follow-up, Everything is Normal… Except the Little Things Inside My Head, which we're told is 'somewhat darker'. It was recorded with producer and engineer Julie McLarnon at Analogue Catalogue Studios in County Down. August 5: Merton Apprentice, London.